It often seems that Ukraine is one of the best prepared nations when it comes to hostile information influence. The unique experience of a country that has been under information attacks non-stop for the last three years means that the vast majority of officials and journalists in Ukraine are naturally careful about information from pro-Kremlin outlets. Unlike in most of the Euroatlantic space, the people in Ukraine know very well that the role of the pro-Kremlin sources is not to inform, but to mislead, manipulate and frighten their audience. The results of a recent opinion poll by Ukrainian NGO Detektor Media seem to confirm that this is very much the case among the general public. When it comes to news about military events in the Donbas region, Ukrainian sources are most trusted, whereas the trust in Russian TV-channels is close to zero – only 1,3% of respondents believe their information to be trustworthy. 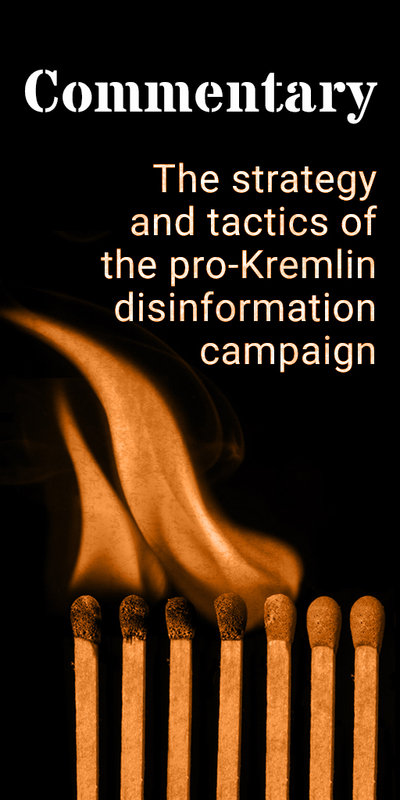 In Eastern Ukraine, portrayed by the pro-Kremlin disinformation campaign as a place where ethnic Russians are defending themselves against a “Nazi” regime in Kyiv, the trust in Russian sources is even lower – no more than 0,8% of respondents find it worthy of trust. 34,3% of respondents agree with a statement that the Euromaidan events were “an illegal military coup d’etat”. Around 48% of respondents disagree with this claim. 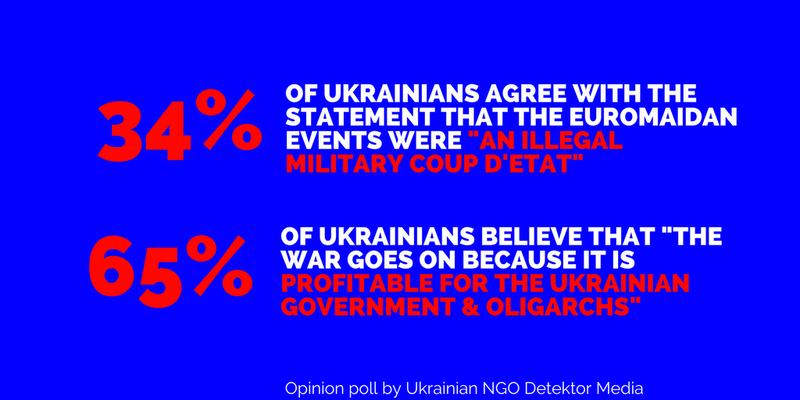 65,5% of respondents believe that “the war goes on because it is profitable for the Ukrainian government and oligarchs” -a statement for which, as far as we know, no credible evidence has ever been presented. 38,8% of respondents believe that the Kyiv government intentionally breaks the truce and the Minsk process, as opposed to 66,4% of people who believe that it is Russia and its proxies who do so. Detektor Media concludes that Russian propaganda makes the audience evaluate events in contradicting ways: Almost half the respondents believe in parallel that the war continues because of the Ukrainian government and because of Russia. Almost a quarter of the respondents believe that both Kyiv and Moscow are responsible for the failure of the Minsk process. And almost one tenth of the people believe in parallel that the Maidan events represent both a military coup and a popular uprising. 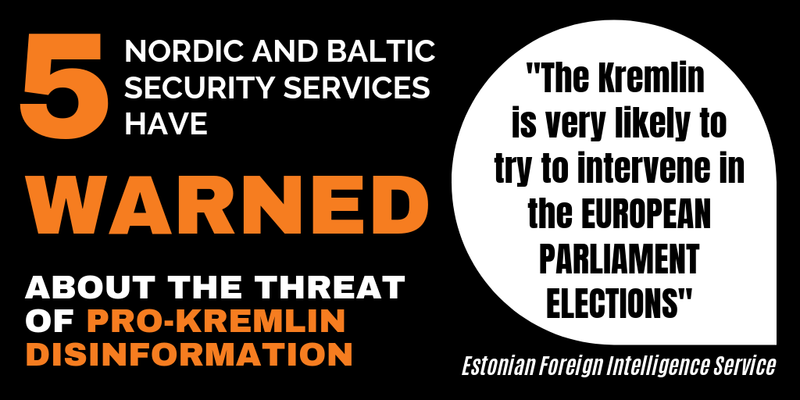 As we have said before, the aim of pro-Kremlin disinformation is seldom to convince us that we should agree with the Russian authorities. Rather, it aims to confuse us, question our institutions and undermine democracies. Read the entire survey findings by Detektor Media.